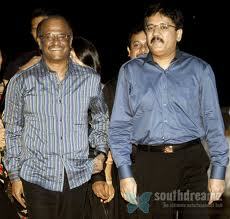 Rajni & ARR – Success Factors | I ... reach!! It is always a happy memory – watching any of Rajni’s movies ……..while it was his style and stunts which enticed us during our childhood days, it was the mass appeal when we were in college (our classmates could all invariably agree if it is a Rajni movie over the fluid dynamics lab!) – but over the period of time, when i grew out of the stunts and mass appeal, it is extremely intriguing to watch Rajni “BEING HIMSELF” , when he is offscreen…. When my kids watch him in the screen on and off movies, they are surprised that how transformed he is in movies – nevertheless, i can feel even the little one has taken an interest in watching him. 1. ARR is hardworking and sincere , 2. ARR has chose the path of love (path of love Vs path of hate) and 3. ARR has surrendered to the super power (‘Ella pugazhum Irayvannuke’). It was such an amazing consolidation by Rajni – but what was more striking was that all the three holdsgood much better for Rajni !!! Call him being humble!! ps – I found Ani has also posted about this – No wonder why Rajni fans were upset that he is too humble! Posted on August 14, 2010, in Celebrities and tagged A. R. Rahman, Aishwarya, Celebrities, Enthiran, Learnings, Malaysia, Movies, Rajnikanth. Bookmark the permalink. 2 Comments. Pingback: ▶ Rajnikanth – Birthday 12/12/12 « I … reach!! Pingback: ▶ Rajnikanth – Birthday Song 12/12/12 « I … reach! !